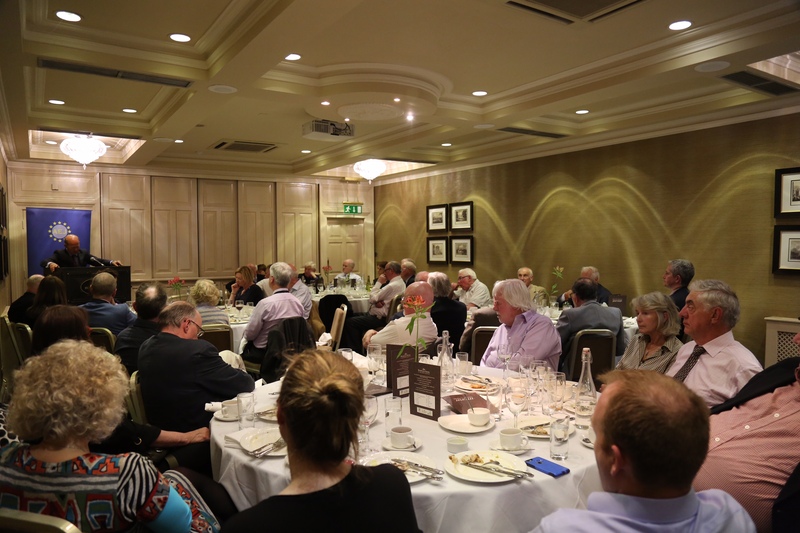 A general view of the attendance at Speakers Lunch on Friday, 20th May, in Buswells Hotel, Dublin. 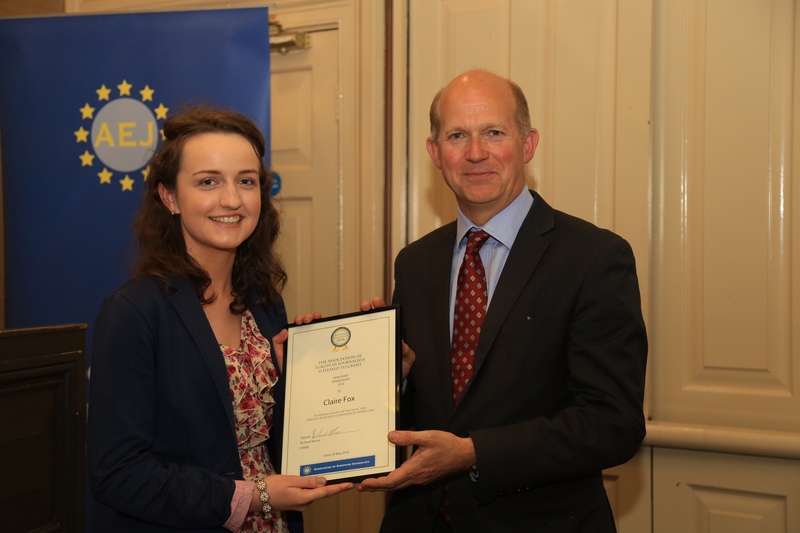 Ambassador Chillcott presents membership to Claire Fox, Mitchelstown, Co Cork, who recently won the European Commission student media award for an article on the EU at the recent Student Media Awards. She is a final year student at UCC. 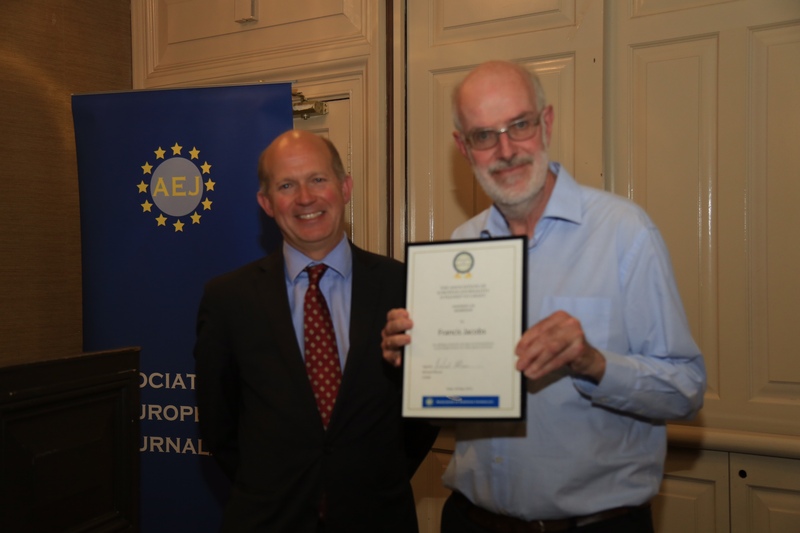 Francis Jacobs, who recently retired from the European Parliament office in Dublin, is presented with Honorary life membership by Ambassador Chillcott. 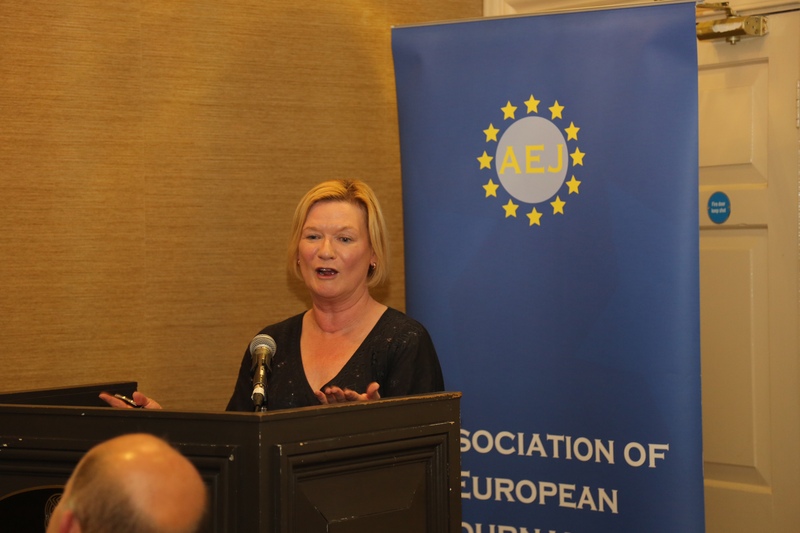 Eileen Dunne introducing the British Ambassador, Dominick Chillcott.